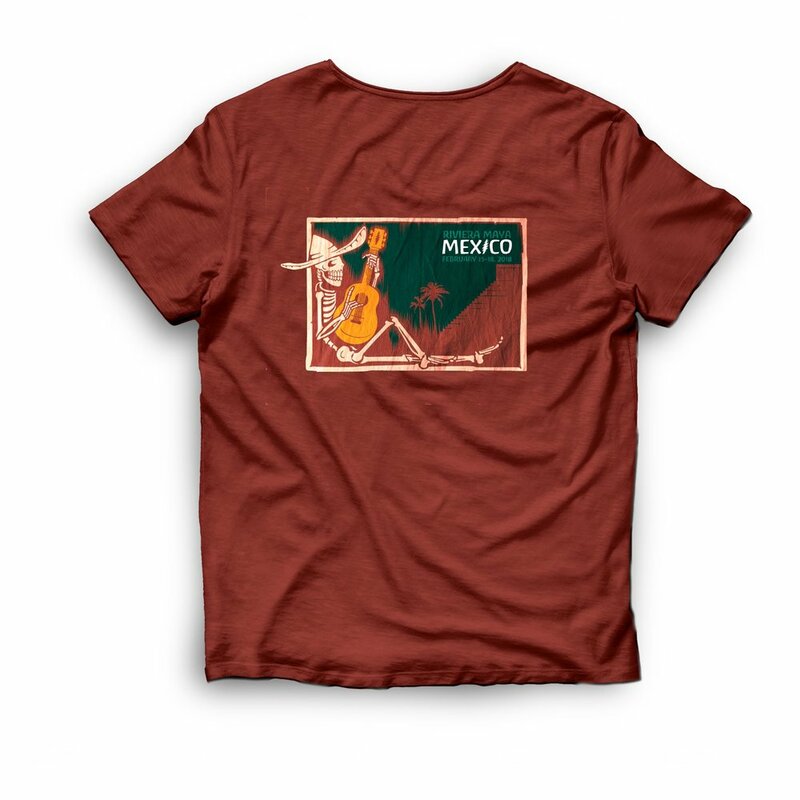 Postcards and a Tee for the Los Muertos Con Queso and Playing in the Sand concerts in Mexico. Not a bad way to spend a few winter weekends, these events. Highly recommended if you get a chance to treat yourself. Or you could just buy a tee. Postcards, like posters and tees, have a humility built into them that we don’t usually ascribe to other media. They’re intended to be given away, expected to arrive with a blemish or two, and they demand brevity. Also, the weird guy at the post office gets to read them.